This was the second Aerosmith album. It seems to me that a lot of people overlook this disc. I mean, Toys in the Attic seems to be the "big one" for a lot of folks. Personally, I've always preferred this album. It's definitely one of my favorite Aerosmith album, and Toys..., to me, lands maybe around the fourth or fifth spot. If you haven't heard this one in a while (or never), give it a spin. It's really the quintessential Aerosmith album in so many ways. This hard rocker is a classic stomper. This is the kind of song Aerosmith first made famous with their first album. It is definitely classic Aerosmith. I have always absolutely loved this song. It has some of that hard rock texture, but it's blended with a dramatic kind of mellower magic. This sound is so much Aerosmith. It's also so classy and strong. This is trippy stuff at the start, suitably "spacey." It grows out to more of a straight-ahead rocker. This is another of the stronger tunes here. Sure, it's trademark Aerosmith, but of the more dramatic, a bit less rocking, variety. This is more of a straight rocker. It's solid and also trademark Aerosmith. This is another tune that really feels like it would have fit very well on the first album. The harmonica solo is a nice touch. 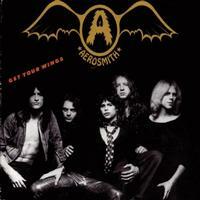 Another with that first album sound, this is a fast paced, hard rocking Aerosmith grind. A lot of people might think of this as a cover of the Yardbirds tune. The thing is, The Yardbirds were covering it, too. The original version of this was written and performed by jazz / R&B musician Tiny Bradshaw in 1951. Aerosmith's version has a great old school rock sound to it. It's a smoking hot rendition. There is a bit of fake crowd noise late in the piece. Then they launch into an even more scorching arrangement of the tune to continue. The audience sounds return at the end and segue this into the next cut. The audience sounds that ended the last tune start this. Then wind and other sounds join. Acoustic guitar rises up and creates a dramatic musical texture. They crescendo the piece and move out to a more rocking movement. This is actually one of my favorite Aerosmith tunes. It's melodic and powerful and also very pretty. Still, they rock it out, too. This is really the most dynamic cut here. I suppose you could consider it to be this album's "Dream On" in a lot of ways. Another that lands more in the straightforward rocker mode, I dig this one a lot, too. While compared to the rest of the set, this might be the weakest thing here, it works well in grounding the set after the magic of "Seasons of Wither." It's a classy way to end things. It also seems to foreshadow Toys in the Attic because it features some horns.